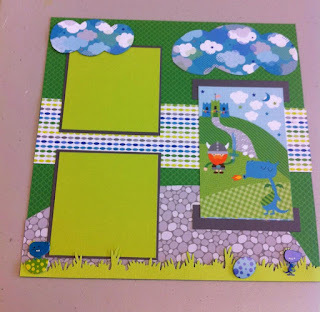 Bela's Paper Inspirations: Adventures - Capture the Kiddies Fun! Adventures - Capture the Kiddies Fun! 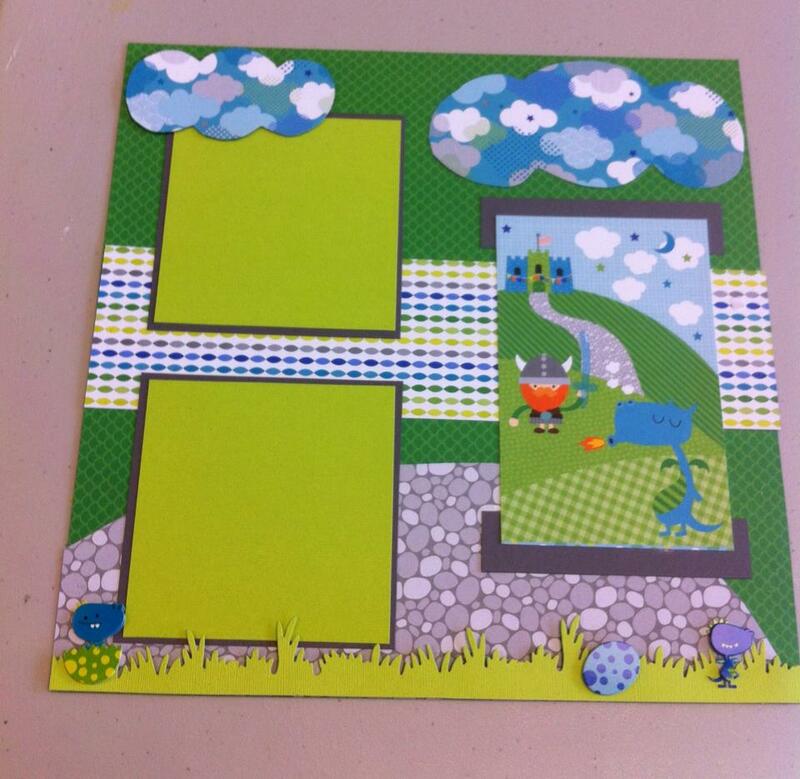 Hello Crafters: I hope you have found some time to craft this past weekend. I have a little double-page layout to showcase today. It is from Doodlebug, named, "Dragon Tales." 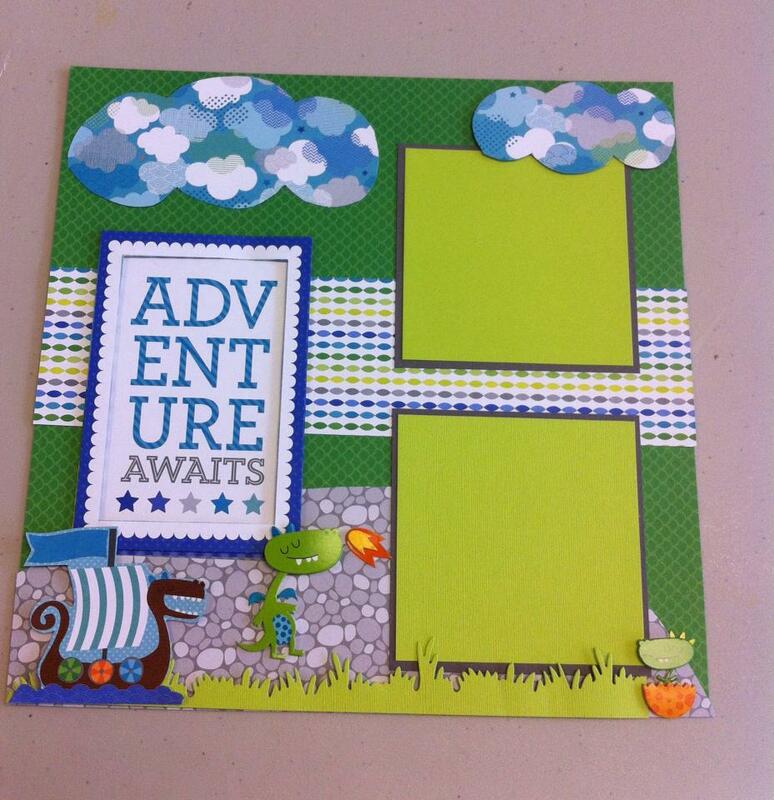 I created this layout with adventure in mind. Page One. 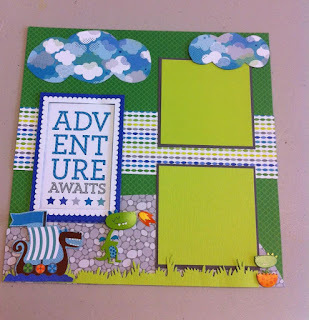 I used the Your Next Stamp, Grass Edge metal die for the grass bottom edge. All the little add ons are the Doodlebug - Doodle Pops. 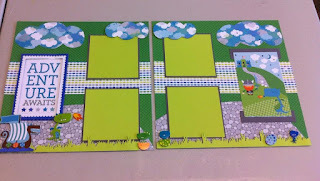 I used Bazzill cardstock for the mats and some of the journal tags from the collection. I hope this inspires you to create some Adventure! Thank you for peeking in..